TARAWA, Kiribati, Jun 19 2013 (IPS) - A growing chorus of politicians, scientists and environmentalists are urging President Anote Tong of Kiribati to actually do what he claims was already done in 2008: create the world’s most effective marine protected area in a remote archipelago in the Central Pacific Ocean. For years, Tong has been saying that under his leadership, Kiribati created the California-sized Phoenix Islands Protected Area (PIPA), “making it off limits to fishing and other extractive uses” – a quote that gets about 500 hits on Google, all Tong’s or his government’s. In speeches at climate change conferences and other venues, he has repeatedly called PIPA his country’s great gift to the world. But what Kiribati actually did in 2008 was ban fishing in the three percent of the reserve that wasn’t being fished in the first place: the area around the islands, which are uninhabited. In the rest of the reserve, as in the rest of Kiribati’s Exclusive Economic Zone (EEZ), industrial tuna fishing has been steadily increasing as prices and profits soar. In an interview with IPS in the capital island of Tarawa, Tong, who was first elected a decade ago, said that he had no intention of closing PIPA to fishing anytime soon. “It’s got to be done gradually,” he said, declining to set a date. “President Tong has been misleading the world about the true status of the Phoenix Islands marine reserve,” Seni Nabou, an oceans campaigner with the environmental organisation Greenpeace, said in an e-mail from Fiji. "Tong has been misleading the world about the true status of the Phoenix Islands marine reserve." For the creation of PIPA, Tong received several prestigious awards from organisations whose officials said in interviews that they had believed the entire reserve was closed to fishing. These awards include a Benchley Award for Excellence in National Stewardship of the Ocean in the United States and a Hillary Leadership Award in New Zealand. In Tarawa, the skinny atoll home to more than half of Kiribati’s population of 100,000, most people queried, including several members of parliament, said they believed that PIPA had long ago been closed to fishing. Teburoro Tito, Tong’s predecessor, was scathing about the current president’s descriptions of PIPA. An estimated 50,000 tons of tuna were taken out of PIPA last year at a time scientists say fishing levels should be decreasing, not increasing. “Closing PIPA would be the single most effective act of marine conservation in history” and a big step in preventing the world’s last major population of skipjack tuna from becoming as depleted as those of the Atlantic and Indian oceans, said Daniel Pauly, a fisheries scientist at the University of British Columbia in Vancouver, Canada. In the interview, Tong said no progress had been made toward banning fishing in PIPA in the last five years because Kiribati requires millions of dollars in financial compensation to do so. Kiribati earns between 30 and 50 percent of its budget from selling the right to fish in its waters to foreign fleets. 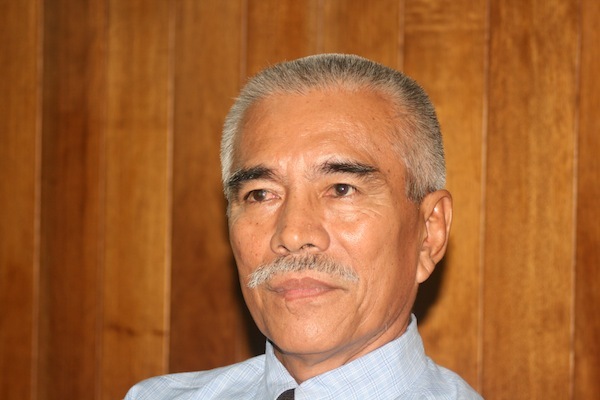 Tong insisted that the doubling last year of Kiribati’s income from these licences means that the current demand for compensation – 50 million dollars for the PIPA Trust Fund – should be increased. “Would we lose any money as a result of closing PIPA?” he asked rhetorically. “We would.” Dismissing the notion that it would be hard to ask international donors for money to protect tuna at a time when Kiribati’s tuna income is soaring, he insisted that that revenue would increase by a slimmer margin if PIPA were closed, adding, “So there is that lost opportunity cost,” which he casually estimated at “an extra two, five million dollars” a year. But experts disagreed with Tong and raised the question of whether he ever intended to close PIPA in the first place. They said that while the closure would inconvenience foreign fleets, the mobility of both the tuna and the drifting fish-aggregating devices the fleets use meant that they could easily fish around the reserve and catch the same amount of fish. And with profit margins for purse seiners now exceeding 100 percent, or 1,000 dollars a ton, the fleets would be unlikely to leave Kiribati’s waters, of which the reserves makes up 11 percent, if PIPA were closed, experts pointed out. “I’m sure foreign fishing interests will use the closure as a tool when they negotiate their fishing contracts, so the loss of revenue for Kiribati will depend on how well they negotiate,” said John Hampton, the region’s chief fisheries scientist. Kiribati’s senior partner in PIPA, Conservation International of Arlington, Virginia, never challenged Tong’s compensation claims. With a staff of nearly 1,000, CI is one of the largest conservation organisations in the world. Its executive committee chairman is Wal-Mart’s head, Rob Walton, and its vice chair is the film star Harrison Ford. CI’s senior vice president and chief scientist for oceans, Gregory Stone, who dived the Phoenix in 2000, proposed the idea of a giant reserve to Tong and helped Kiribati build a legal and financial infrastructure for PIPA. Today, PIPA is CI’s biggest project, while Tong sits on CI’s board. CI’s website says the president “has gone further than almost anyone to protect the planet’s most pristine waters for the global good” and until recently called PIPA “completely off-limits to commercial fishing”. The management plan on PIPA’s website calls for CI to raise 13.5 million dollars by the end of 2014, after which another 25 percent of PIPA will be closed to fishing, for a total of 28 percent. Stone said he was optimistic he could raise the money, even though nearly a decade after fundraising began, the PIPA trust fund is still empty. Jay Nelson, who recently retired as head of Pew’s Global Ocean Legacy program and was involved in creating several giant no-take reserves, said attracting such donations in today’s economic climate is unrealistic, especially since most people think the reserve is already closed. “CI needs to admit that they won’t be able to raise that kind of money and tell President Tong to close it immediately so it lives up to its claim as a world-class marine reserve,” he said.